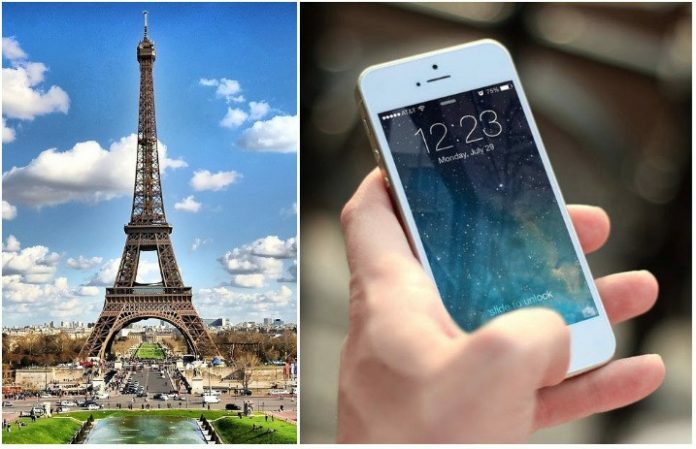 France is bidding adieu to the word “smartphone“—the country will be using its own terminology to refer to the ubiquitous mobile devices henceforth. Why? Because the French apparently don't want pesky English tech talk all up in their language. Que sera, sera. This is just the latest in a long line of English tech words that France seemingly wants nothing to with: The French Republic's Journal officiel has in the past suggested replacement words like “internet clandestin” for the dark net, “mot-dièse” for the term hashtag, and “joueur occasionnel” or “joueuse occasionnelle” for the casual gamer (male and female, respectively). I'm so glad the Smithsonian exists because I wouldn't know any of this, otherwise. And it looks like “le mobile multifonction” actually won out over a few other idioms before the official recommendation. Both “ordiphone” (from “ordinateur,” French for computer) and “terminal de poche” (i.e. pocket terminal) were previously proposed. Hey, I kinda like “pocket terminal”! But, after all, inutile de discuter, because chacun voit midi à sa porte. Merci!